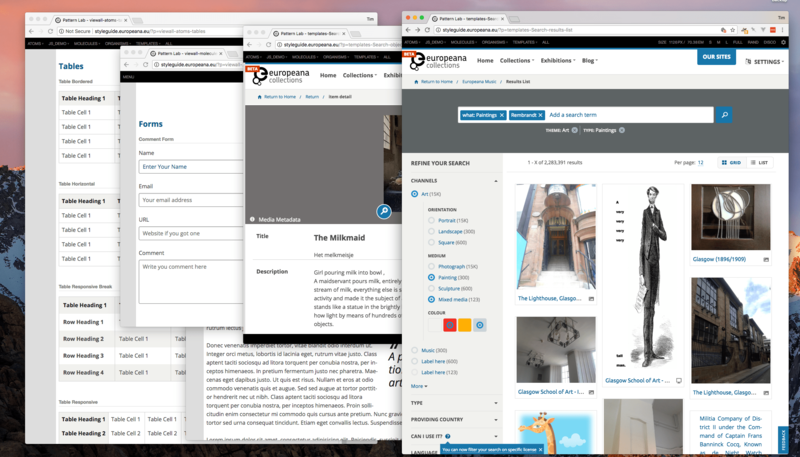 A major European project to expand access to the contents of museums & cultural archives across Europe, the Europeana sites had become inconsistent, slow and hard to update. They didn't reflect the brand and didn't work on mobile devices. 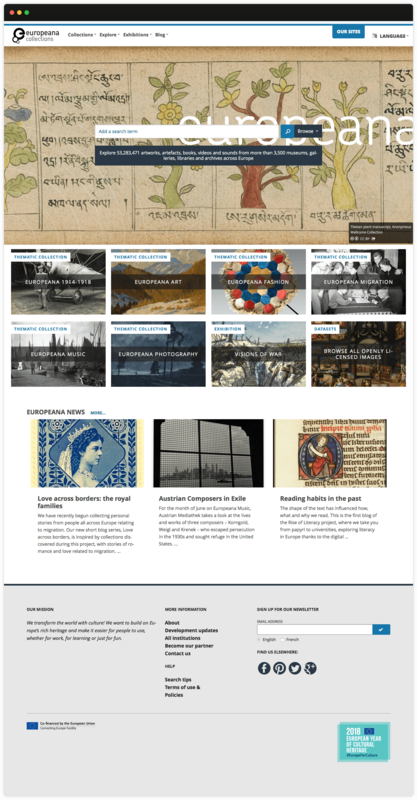 I worked with the in-house web team to redesign all the Europeana sites from the ground up, unify their UI and visual design, make them accessible, responsive and modular, improve usability and make them maintainable. The content for a single item could vary from multiple images, text, video, audio + metadata to just a single title or a link. 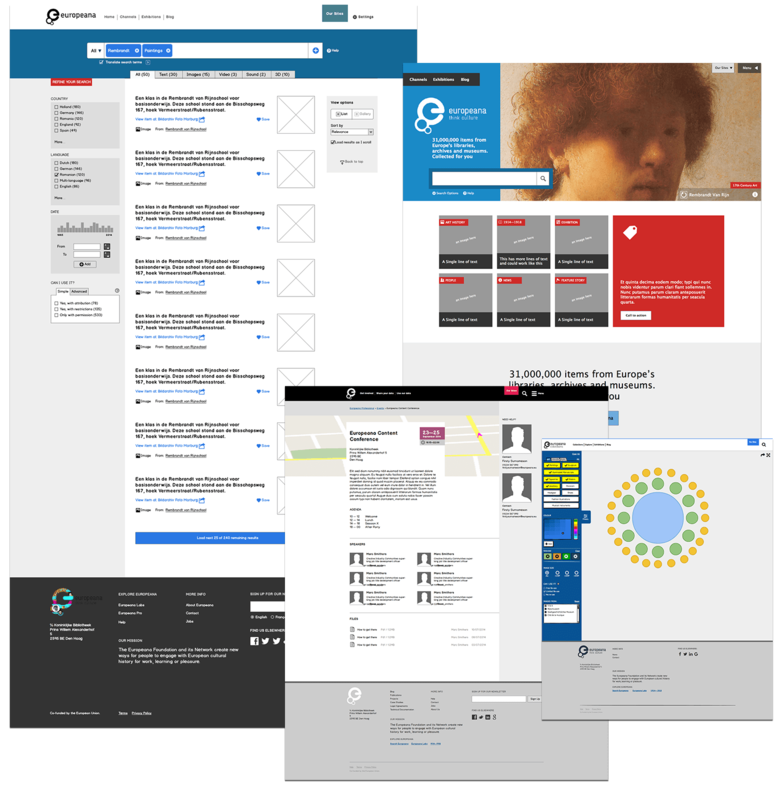 With 50 million items, you can't just edit the content, so the design had to work for these extremes and every point in between. The design had to work in 27 languages and 5 alphabets. Fast iteration — keeping it sketchy so the focus is on how things work. We led the world in directly integrating the front-end pattern library and design system I developed with the live code running the site. This meant we could deploy fixes and updates to multiple sites controllably and easily keep them consistent and up to date. Feedback from user groups was really positive and usability testing showed a measurable increase in ease of use and task success. Development timescales plummeted from months to weeks. Accessibility: The whole multi-site system was assessed as meeting WCAG 2 AA Standard (and AAA where possible). "You have got a vast number of things exactly right - it must have taken a huge amount of work and effort - but man, it's paid off. It's really, really, really good."